Stan Lee recently regained control of his social media accounts after they were taken over by someone else. The comic book legend has returned in a new video for fans, promising to stay in touch more in an emotional and fun return to form. It has not been officially confirmed, but it is believed that Keya Morgan was in charge of Lee's social media accounts over the last several months. A judge in Los Angeles recently granted Lee a permanent restraining order against Morgan, so hopefully this marks a true return to social media for Lee. Right off the bat, a Marvel fan can instantly tell that Stan Lee is in better spirits in a new video that he posted on Twitter. Pow! Entertainment made an announcement earlier this week in regard to Lee and the studio taking his social media accounts over again. After being largely absent on social media for nearly a year, Lee's new video starts with his clever humor stating, "I hope you haven't forgotten me. You better not have forgotten me." Obviously nobody has forgotten about Stan Lee, but this is his return to social media after a year of weird incidents and allegations of elder abuse. Stan Lee has made appearances on social media over the last few months, but it was like he was in a fog. He was last seen online defending Keya Morgan, days before Morgan's arrest for a false police report. So, to see Lee back to his old self and joking about being only 79-years old, is a real treat for Marvel fans. And for those who consider themselves to be fans, Lee likes to think of everybody as being "close, close friends." While Keya Morgan is not brought up in the video, Stan Lee talks about having his soapbox again before giving his thoughtful and heartfelt message to fans. It has been alleged that Morgan was mentally and physically abusing Lee, even going as far as to abduct the comic book legend in an effort to keep him isolated from close friends and family. The allegations were serious enough to have a judge grant Lee a permanent restraining order a few weeks ago. Marvel fans are hoping that Lee's new promise to stay in touch sticks. Stan Lee ended his return to social media with his trademark "Excelsior!," which is already a good sign that he is on his way back from the fog that he was in over the last year. The 95-year old should be enjoying his life and reflecting on the enormous success that Marvel has become in the world of comics and the Marvel Cinematic Universe, not worrying about being under the control of somebody that was trying to get their hands on his money. Thankfully, Lee has promised to stay in regular touch with Marvel fans, so let's hope this sticks. 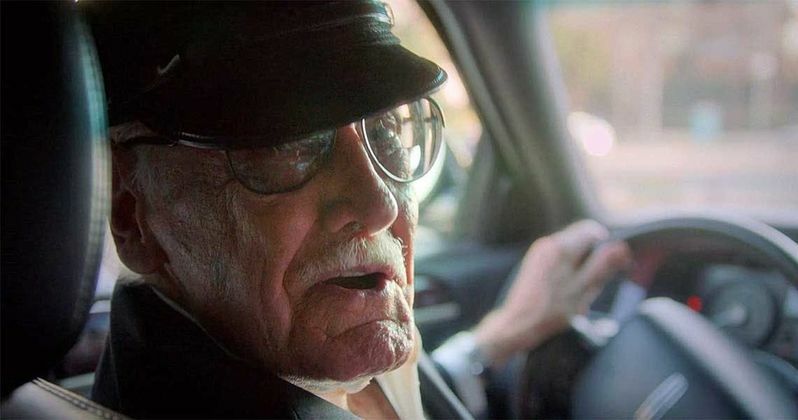 You can watch the emotional return to social media below, thanks to Stan Lee's Twitter account.